‘If I were a gambler,’ I wrote in The Independent seventeen years ago, ‘I’d put serious money on a 23-year-old Russian mezzo who will make her discreet solo UK debut in a Suffolk church tomorrow.’ That debut passed largely unnoticed, but as Valery Gergiev began flying her over to London for stage performances of the Russian classics, the penny began to drop. She didn’t win the song prize at the 2001 Cardiff Singer of the Year competition, but her performance in the final moved the Times critic Hilary Finch – no push-over – to suggest that she should have won, with songs by Cui and Kallinikov which were ‘meticulously, yet seemingly effortlessly, sculpted, mesmerising both ear and imagination’. So yes, I wish I’d placed that bet, because Ekaterina Semenchuk is now not merely the Mariinsky’s most treasured resident star. She is also in constant global demand as a member of that small and select group of singers who seem born to incarnate what she calls ‘Verdi’s dark ladies’. My first sighting of Semenchuk had been in the unlikely context of a fund-raising soiree at Christie’s, where two young singers from the Mariinsky Academy were being paraded for a well-heeled coterie. First came a tenor called Daniil Shtoda, whose easy grace with Glinka and Gliere marked him immediately as out of the ordinary. Then a girl appeared with a seriously deformed face – Ekaterina Semenchuk’s right cheek was blown up like a football. But her voice had unusual power and beauty, with a thrilling hardness in the low notes; each song was shaped to bring out its internal drama, and you could feel the frisson in the room. I only learned later that she had been in considerable pain: bad dentistry – the Russian curse – borne with good Russian stoicism. Two months later in St Petersburg, I re-encountered these singers at a conservatoire pancake party where everyone, barring interlopers, was expected to do a turn. This time Shtoda was at the piano, accompanying a series of fellow students who were all pretty special, and again Semenchuk stood out. First, amid general merriment, she delivered Carmen’s habanera with such mockingly predatory aggression that I was relieved she cast my fellow-guest Steven Isserlis as José: by the end he was wishing the floor would swallow him up. Then she abandoned the formalities of Western opera and sang some unaccompanied Russian folk songs, transforming herself into a spirit of the steppes: shouting, foot-stamping, earthy, untameably wild. Those who worked with Semenchuk all testified to her impetuous nature and instinctive generosity, as well as her rigorous professionalism. Her mentor Larissa Gergieva described her as a born stage artist: ‘She has an uncanny feel for atmosphere, and her voice is a gift from the gods. Such things can’t be taught. And she has a good soul, a noble heart.’ And as Gergieva pointed out, Semenchuk’s life at that time was anything but easy: since her father’s sudden death (he was a surgeon) she had to be the family breadwinner. Her daily routine in St Petersburg – studying one opera by day, performing in another by night – started and ended with a two-hour bus journey through the wilds. My reason for being in St Petersburg was to review Andrei Konchalovsky’s production of Prokofiev’s War and Peace (quite an evening, in that the imperial box contained Tony Blair and Vladimir Putin having their very first meeting, and getting on like a house on fire). At one point in the opera Semenchuk, still a student and playing the supporting role of Sonya, sang a balcony duet with Anna Netrebko. 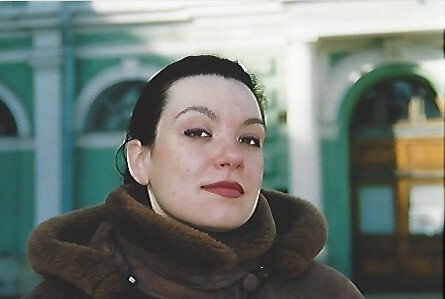 And though the latter – five years Semenchuk’s senior and already a star – was singing the lead role of Natasha, it was clear their talents were at least evenly balanced, if not actually tipped in Semenchuk’s favour. That show cemented a relationship which has endured: they remain close friends, and often share a stage on the international circuit, as they will at Salzburg in August. ‘Eboli is a victim,’ she says, ‘like Amneris and Azucena. And so is Lady Macbeth – a victim of herself.’ But in other respects Lady Macbeth is in Semenchuk’s view an exception. ‘She is dark and negative. She is the only one in whom I can’t find kindness and mercy, who pursues her vendetta to the end. I can understand her motives, but when I sing her, I feel only darkness. But I can make her seem alive. I don’t even think Verdi – who was a wonderful human being – empathised with her either. 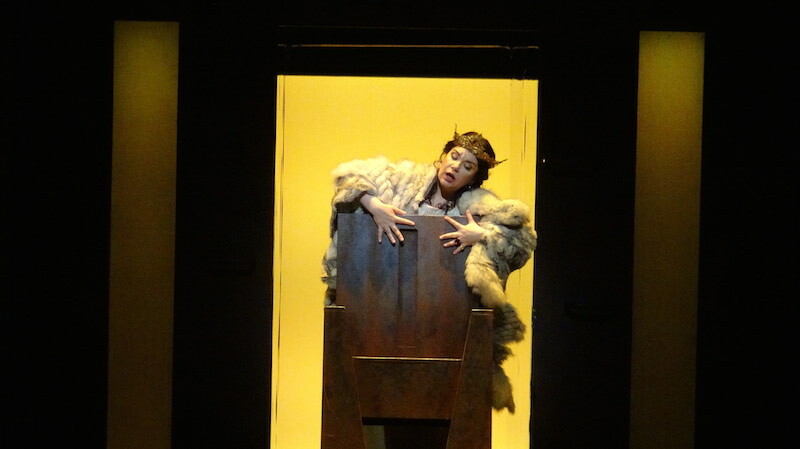 There is a danger in singing these roles – that you may internalise them, even Azucena. It can drive you completely crazy. As Stanislavski and Chekhov showed, you shouldn’t internalise them. You should keep yourself separate – you should not be her. You should see her, and create her, as a painter would. You should teach your body how to incorporate her. I use a kind of yoga for this.’ Her intensely physical, almost serpentine Azucena in David Bösch’s otherwise irritatingly tricksy Covent Garden Trovatore being, I would suggest, another case in point. Semenchuk takes particular pleasure in undermining audience expectations when she thinks those are misplaced. Her imperious Carmen, for example, is less brash and noisy than most: ‘If you look at the score, you will see that sections which are usually sung forte are marked piano or mezza voce. There is always a place in it for intimacy.’ And she’s a tireless champion of the Russian song repertoire: the only recital disc she has made so far – accompanied by Larissa Gergieva, and released by Harmonia Mundi in 2006 – offered a ravishing journey through the solo vocal works of Gliere, Taneyev, Rachmaninov, and Tchaikovsky. As she has dozens more Russian songs up her sleeve another CD, preferably including some of her wonderful unaccompanied folk-song renditions, would seem an obvious next move. She is passionately concerned to see that Russia’s indigenous musics are preserved. To listen to this singer in recital is to realise that there’s a purity and stillness at the core of her art, which is guarded with an unsleeping professionalism. And though she’s constantly traversing the globe for her operatic appearances, she makes sure to touch base regularly with her family in St Petersburg, where, among other domestic pleasures, she unwinds by playing Bach preludes and fugues. Yes, a musician first and last. Ekaterina Semenchuk sings Amneris in Neshat Shirin’s production of Aida at Salzburg from August 6, with Anna Netrebko in the title role.